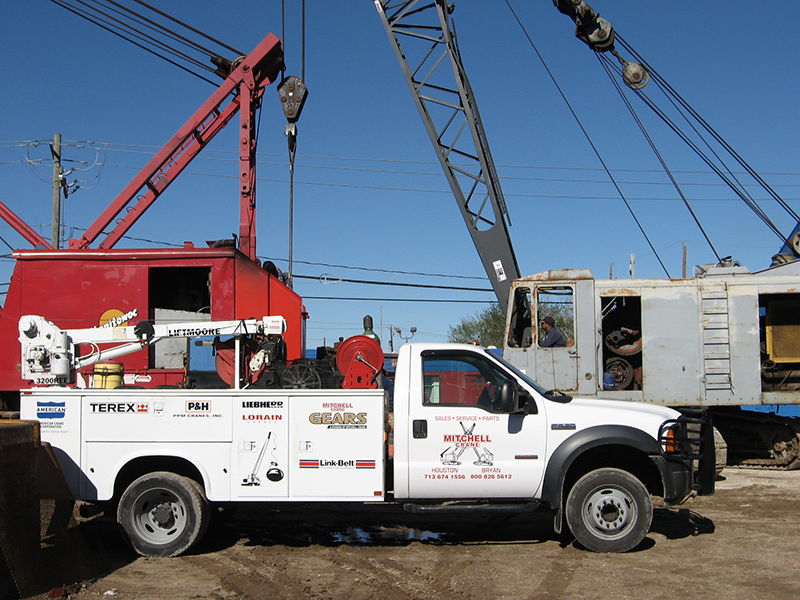 Mitchell Crane is proficient in many aspects of crane repair services from over the phone technical support to traveling across the country to perform a major repair. Although our focus is predominately conventional crawler cranes we perform many basic services for most makes and models, from boom trucks to monster all terrain cranes. Regularly we replace wire rope on boom trucks for local businesses and contractors in one of our two yards located in Houston and Bryan, Texas. We make minor repairs on anti two block components when they bent up in the field. We inspect and replace sheaves in blocks, we supply hook latches and safety decals also. Mitchell Crane's parts department and machine shop work closely together with our technicians on the job to assure they have the parts they need to repair your machine when they need them. We understand the importance of getting your machine up and running on a job site as fast as possible. Mitchell Crane mechanics travel to locations across the country repairing machines with a sense of urgency allowing our customers to finish their jobs in the timeline they need to. Our Machinery Rebuild department conducts complete repairs of older, out of service, or neglected machinery to bring it back to safe operating condition. Working with your needs and budget we can tailor a rebuild that meets your needs. Have a part that's worn, broken, or just seen a bit too much action on the job site in need of some TLC? Save the money and the headache of looking for it new or used. 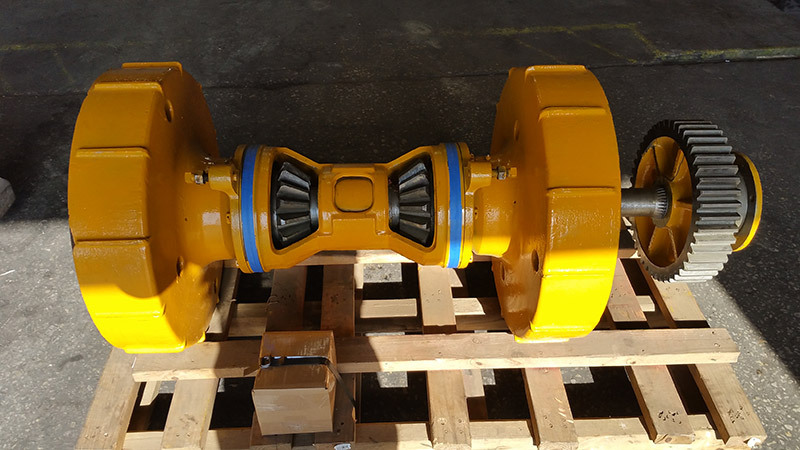 We have been repairing parts at Mitchell Crane for 30 years and love making old parts new again. We have an entire page devoted to this process. Mitchell Crane provides relining services for clutch shoes and brake linings of a variety of shapes and styles. As a manufacturer of clutch shoes and source for brake bands, Mitchell Crane is your one stop shop for brake surface replacement and repair. Years of experience working on, with, and around cranes have allowed our staff a wealth of knowledge and expertise in crane service and repair. We are happy to provide technical support over the phone with any issue or question that may arise with your machine. Our exchange programs are a great way to keep down time to a minimum. Whether a component of your crane or an entire assembly, Mitchell Crane can rebuild one of our components while you are still operating and ship it to you for replacement, once your old components are removed, simply send them back for full credit. If you do not see what you are looking for, please give us a call, we would be happy to find an answer for you. 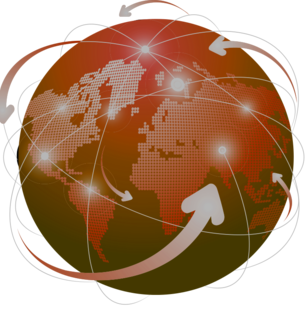 Headquartered in the U.S. with a global customer base, Mitchell Crane is experienced and proficient in ensuring that our products are delivered successfully.